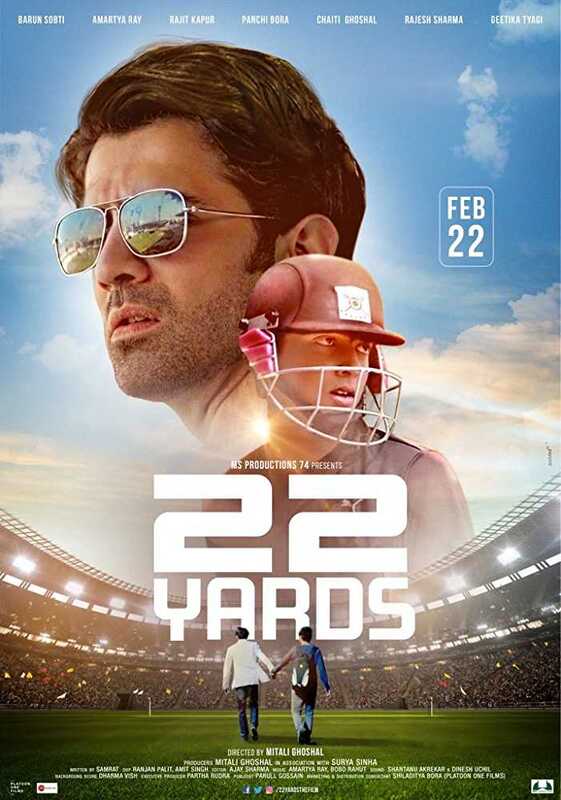 Television heartthrob Barun Sobti’s much awaited film 22 Yards yesterday. The film which was based on cricket and shot in several places of India was in talk from the days of its shooting. The movie was supposed to come in 2018 only but due to some issues the release of the movie was postponed. But now finally the Mitali Ghosh directed flick is all set to release worldwide on 22nd Feb, 2019. The movie 22 yards was shot majorly in Mumbai and the rest of the part was shot in Kolkata,West Bengal. The movie has a bunch of new talents including the director Mitali Ghosal. Mitali is going to debut in the field of Bollywood with the film alongside with Panchi Bohra and Amartya Roy. Panchi Bohra who is from Assam, rose to fame with Ekta Kapoor’s Kayamath (Star Plus) where she played the character of Prachi opposite Jay Bhanushali (Neev) and Shabbir Ahluwalia (Milind). The movie will deal with the inner processing of talent management company who promotes and deals with asiping cricket talents. The movie will feature many veteran bengali artists in pivotal roles. The movie will also feature Amartya Roy in an aspiring cricketer who was seen in a bengali movie. Well this trailer came across as a huge good news for Barun Sobti fans and we are sure they just can’t wait for 22nd Feb to arrive. Tevar confronts Sikander and discovers the shocking truth…. #SpoilerAlerts :- Ishqbaaz’s upcoming twists and turns..